Um, no! Not for me, and I’m assuming not for you either, which is why you’re here. In fact, I came home from the hospital weighing more than when I went in, and I didn’t have any fluids, thanks to a spontaneous natural birth. Losing weight while breastfeeding has always been a difficult struggle for me. It makes me so hungry that it feels like I’m starving 24/7. Not to mention after four kids, it’s a lot harder to lose weight! I had almost given up on even trying to lose weight the fourth time around, and then I realized something. I’m not a quitter. I’m pretty stubborn, actually, and if the idea exists that I can’t do something, I’ll usually do whatever it takes to prove to myself that I can do it. This post may contain affiliate links, which means that if you purchase something through one of the links provided, I get a small commission. See my full affiliate disclosure here. To say that I was determined would be an understatement. I’m 5’2”, so even the slightest amount of weight, even just five pounds, looks like a lot more than that on me. I was so uncomfortable with the way I looked and felt. Pregnancy changed me so much. I went from 125 pounds before my third baby (still holding on to a lot of weight when I got pregnant the fourth time) to 154 pounds AFTER my fourth baby was born. I went from a size 4 to a size 14. Postpartum depression was starting to set in. I knew I needed to do something. Disclaimer: Before I get started, I just want to say one thing. Please, please, please wait to try to lose weight until after you’ve had your six-week checkup and “Okay” from your doctor to start any type of diet or exercise program. Those first six weeks after birth are crucial for recovery. Rest and recover as much as you can before or you can really injure yourself. If you’d like to know how I lost the weight without buying any special drink, supplement, or expensive workout program, keep reading. The first thing I did was determine how many calories I would need to eat every day as if I wasn’t breastfeeding. I used this calculator to get that number. You will get several numbers in the results. I used the number that would allow me to lose 1 pound per week. Then I added 500 calories to that number to get the amount I would need to eat daily while breastfeeding. This ensured that I was getting enough to keep up my milk supply. That was my starting number, which was 2200 calories/day. I ended up needing to change that number because it wasn’t 100% accurate for me. This took a couple months of trial and error, but I finally arrived at my “magic number,” which ended up being 1850 calories per day for me. I tried going down to 1800 calories and noticed a tank in my milk supply, so I upped it back up to 1850. Even just 50 calories a day can reduce your milk supply. Please do not take this exact number as a starting point for you. Everyone is different and has different caloric needs, so please determine your correct number for you. To reach my magic number, I started out at 2200 calories per day. This was the number that was calculated for me PLUS those 500 extra breastfeeding calories. I did this 2200 calorie diet for two weeks and noticed no change in my weight, so I reduced that number by 50 calories a day for another two weeks. Still no change, so I reduced my caloric intake again by 50 calories a day for another two weeks. I repeated this process until I started to see the number on the scale go down. You may have to be patient with yourself here. You don’t want to lose weight too quickly. Note: It’s very important to only reduce the number of calories you’re eating by 50 each time. Any more than that, and you risk reducing your milk supply. Please remember this little (huge) piece of advice if you want to continue breastfeeding. In addition to counting calories, I starting working out again. I did 30 Day Shred by Jillian Michaels. What I love about this workout is it starts out easier and gets more difficult as you progress through the 30 days. There are three levels. You start out by doing the first level for ten days, then moving on to the next level for another ten days, and so on. You’ll need a set of 3-pound dumbbells and a mat if you’re working out on a hard surface. 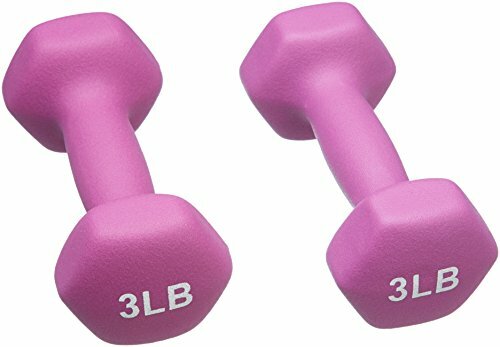 I started out with the 3-pound dumbbells for the first two levels and increased my weight to 6 pounds in the third level. 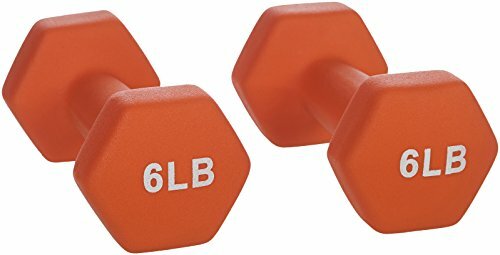 I’m using these dumbbells right now (pictured below) because I'm now doing a little bit heavier lifting, and I absolutely love them! I love that they are stored together like this, and adjusting the weight is so, so easy. They are adjustable from 3 to 24 pounds. 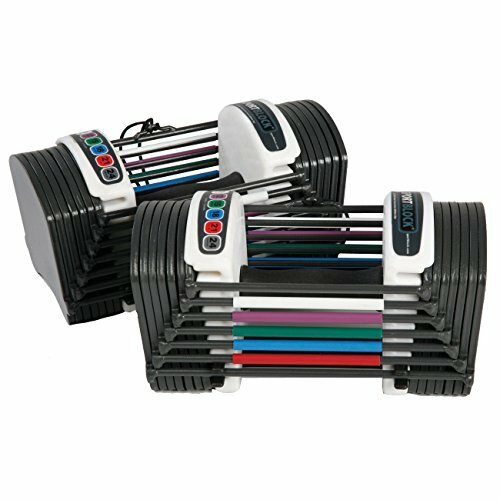 If you’re in the market for a more affordable set of dumbbells, try these. The name of this workout DVD is slightly misleading. You most likely will not lose all the weight you want to after just 30 days. I think I repeated the whole thing three times to get to my desired weight. Again, be patient with yourself. The number of times you’ll need to repeat it will be determined by the amount of weight you’d like to lose. I ended up losing 38 pounds by doing exactly what I’m talking about here, and I’ve kept the weight off for the most part ever since. Have you had trouble losing weight while breastfeeding? Surely I’m not the only one. I know the struggle is real. I’d love to hear about your weight-loss journey in the comments! Get a FREE monthly budgeting printable when you subscribe to my email list! Thank you for subscribing. Get your FREE printable here!